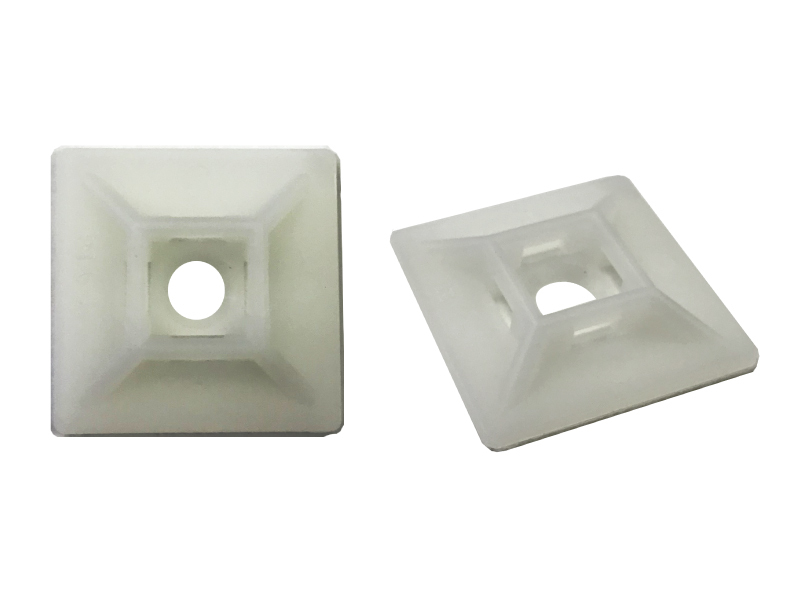 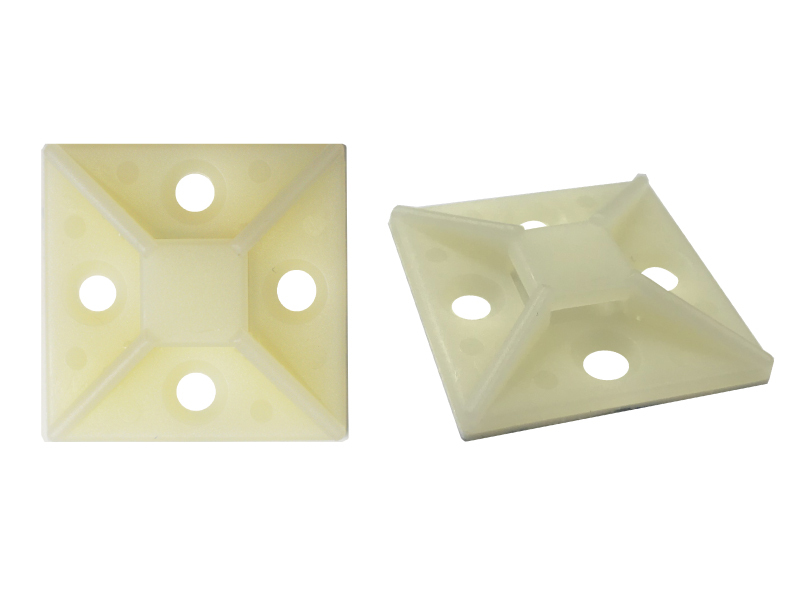 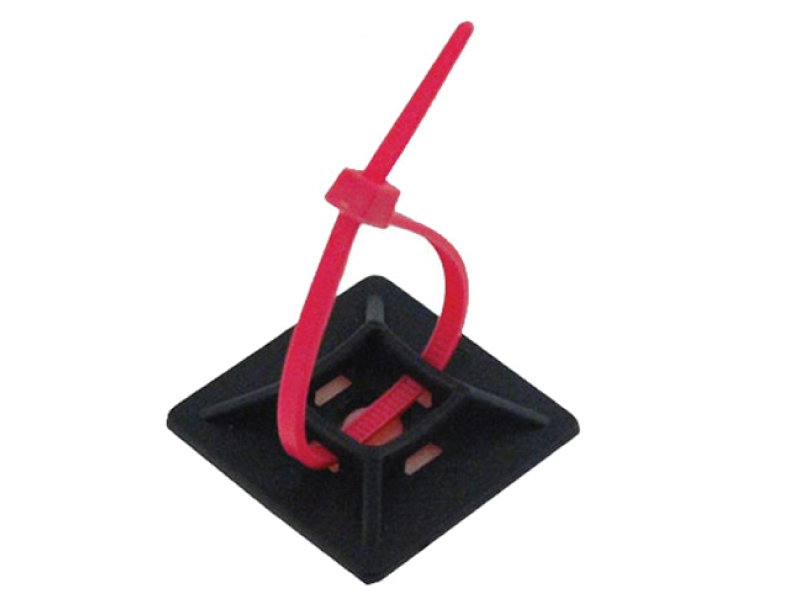 Adhesive Backed Nylon Cable Tie & Zip Tie Mounts. 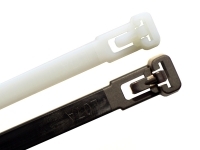 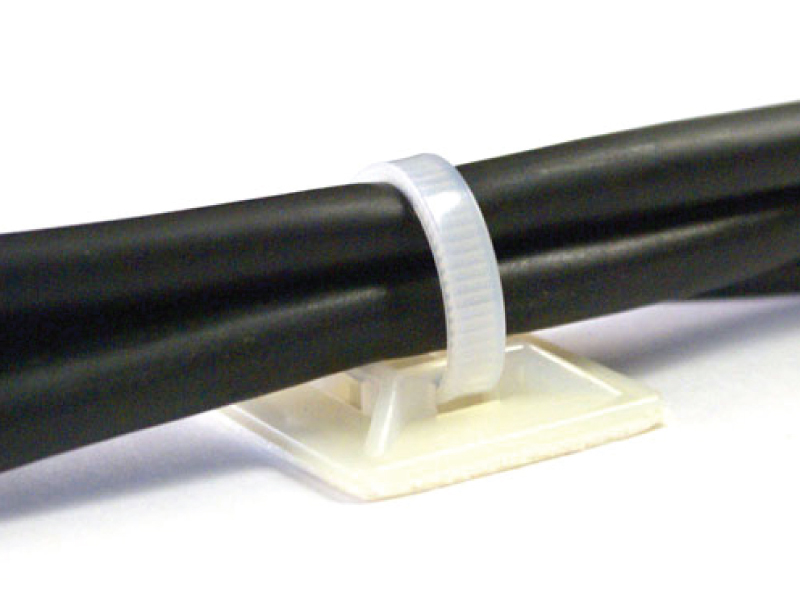 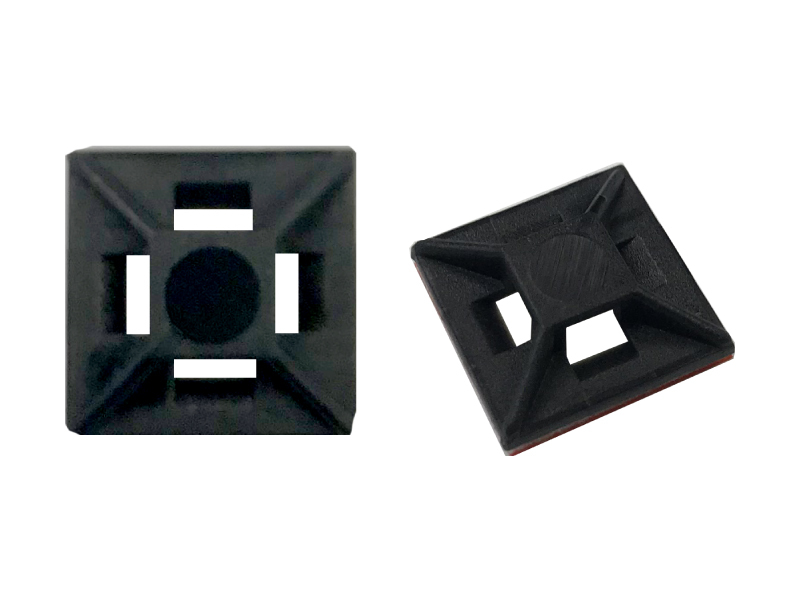 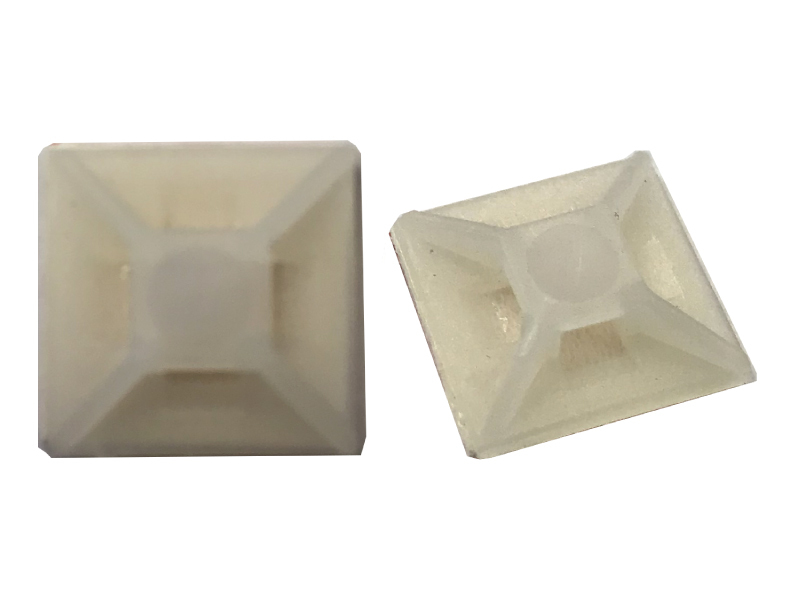 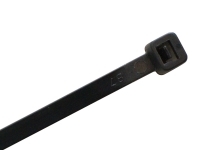 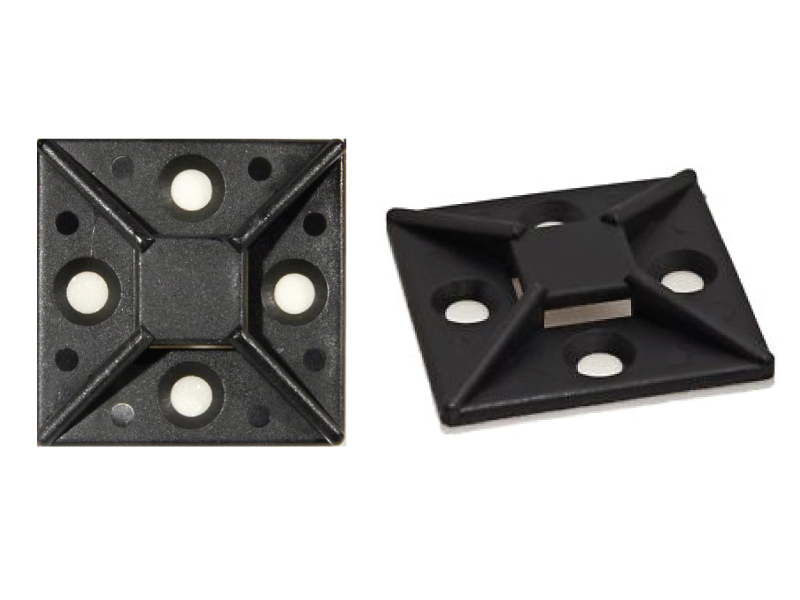 Adhesive backed nylon zip tie mounts are designed to be used together with cable ties. 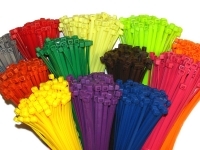 Zip tie holders are an easy solution to secure your wire bundles or other items to any surface you desire. 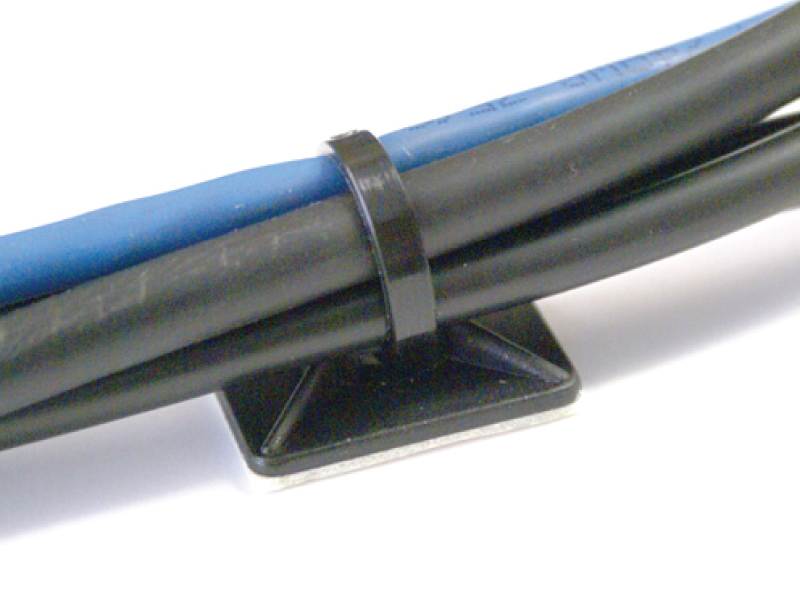 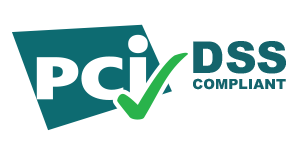 Secure to the surface by the adhesive tape on the back after the backing paper is peeled off. 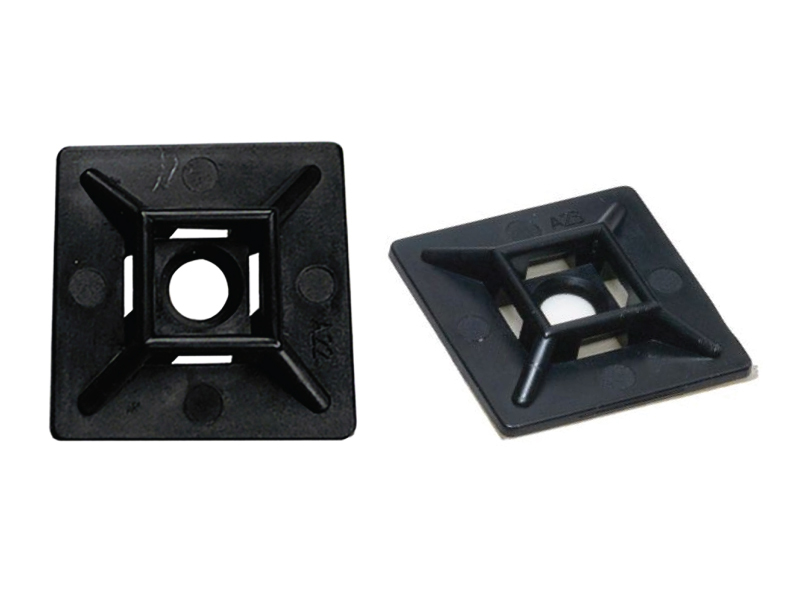 May be secured using a self-tapping screw inserted into a special hole.